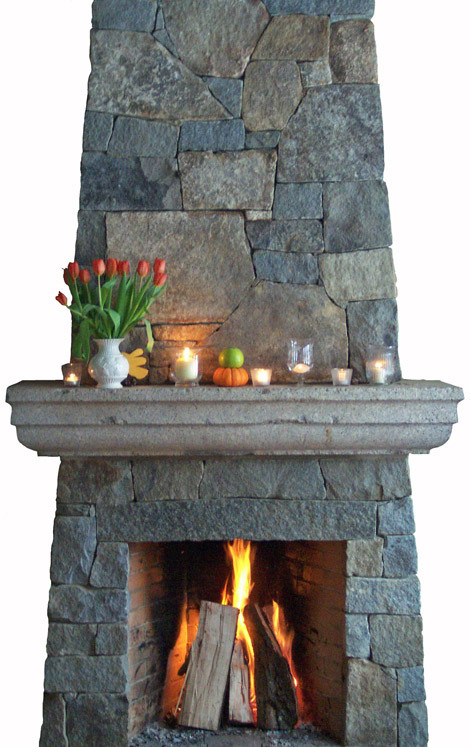 This is a unique natural stone clad rumsford fireplace. Notice the tall height and shallow box. This design offers maximum heat output as well as flue draw.